Shortly after landing in Nairobi last Monday night, I started to hear of the unrest in Baltimore. At first, it was hard to gauge how serious the situation was but it soon became clear that something major was happening. It seemed so ironic to be laying in bed in Kenya, texting with my brother who lives in Baltimore and telling him I would be praying for his safety. As I watched events unfold from East Africa, I was alarmed by not only what I saw in Baltimore but also on my news feed. So many of the tweets and status updates I read were unhelpful at best and hateful at worst. Whites decrying the loss of property. Blacks decrying the loss of justice. So much pain, fear, anger and misunderstanding. All week, I kept thinking of a quote from Stephen Covey, “Seek first to understand, then to be understood.” I wonder how different our conversation about race in America would be if we actually took that advice. The Bible commends the wisdom of listening as well, “Let the wise hear and increase in learning, and the one who understands obtain guidance.” (Prov. 1:5) As a 37 year old, middle class, white male, I’m convinced the most significant thing I have to offer the conversation is my ears, not my voice. Last week helped me realize just how little I understand the African American experience. 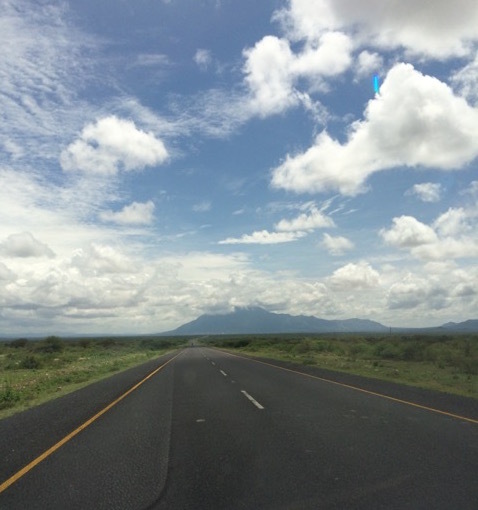 God used a road trip from Arusha, Tanzania to Nairobi, Kenya to help me see that. On Thursday morning, I made the roughly four hour drive with three friends in a car with Kenyan license plates. From the time we left the medical clinic we had visited that morning to the time we crossed the border (about an hour and a half), we were pulled over 7 times by the police. It seems like Tanzanian police love to pull over a car with Kenyan tags. By the way, we weren’t getting pulled over because we had done anything wrong. We were getting pulled over to see if we had done anything wrong. On the first stop, it was determined that there was one person in the car breaking the law. Me. I wasn’t wearing a seatbelt. So, the officer issued a ticket and demanded payment on the spot in cash. That set us back 60,000 Tanzanian shillings, which happened to be all the cash we had on us. Six more times we went through the ritual (sometimes within a few hundred yards of a previous stop). I found myself getting more and more frustrated, impatient and angry. I also felt a little twinge of fear each time. What if they did find another offense? What if they demanded payment on the spot? We didn’t have any money. What would happen? Would they detain us? Could I possibly end up in a Tanzanian police station? Yes, I felt a little comfort in my American passport but I also knew that wouldn’t necessarily help all that much. The balance of power had shifted and, for one of the few times in my life, I felt nervous around authority. I wasn’t sure the system would protect me. I wasn’t sure I would be treated fairly. I wasn’t sure justice would win. I’m not pretending for one second that my experience in Tanzania has made me an expert on the black experience in America. Just the opposite – it’s convinced me of how little I really know and understand. So, I’m determined to listen. I’m determined to ask uncomfortable questions. I’m determined to understand a little more. That’s my challenge to you – whether you are white or black. Throwing rocks, tweets and ill formed opinions isn’t getting us anywhere. Maybe it’s time to find the humility to listen.